And in the blink of an eye the year has gone! I’ve never really been a fan of New Year’s Eve and I’m not the type to go out and drink the night away. There are always too many people in too little space and the taxi fare you pay to get there is astronomical; you really might as well be going to the moon! I tend to spend the last hours of the year in loose pants, cup of tea in one hand and the other, claw-like, lowering itself into a tin of Cadbury’s Miniature Heros. In those moments, my mind drifts and contemplates what has been and what is yet to come. The last few months of this year have been wonderful in so many ways, particularly my quilting life. What first started as a very personal, solo adventure has fast become a bawdy, rambling troupe. I’ve met so many amazing and inspiring people on the journey and it feel like there’s a lot more to come. Two years ago, before the words ‘fat quarter’ and ‘half square triangle’ entered my vocabulary, I could never have imagined myself as part of such a vibrant, creative community; having a blog of my own, with followers, and comments, and likes oh my! I was very much a one-man-band, but through this blog, Facebook and Instagram I’ve encountered so many other wonderful artist who I feel privileged to play along side in this great quilty arena we’ve created. So, to 2014. The year is already shaping up to be an awesome one. 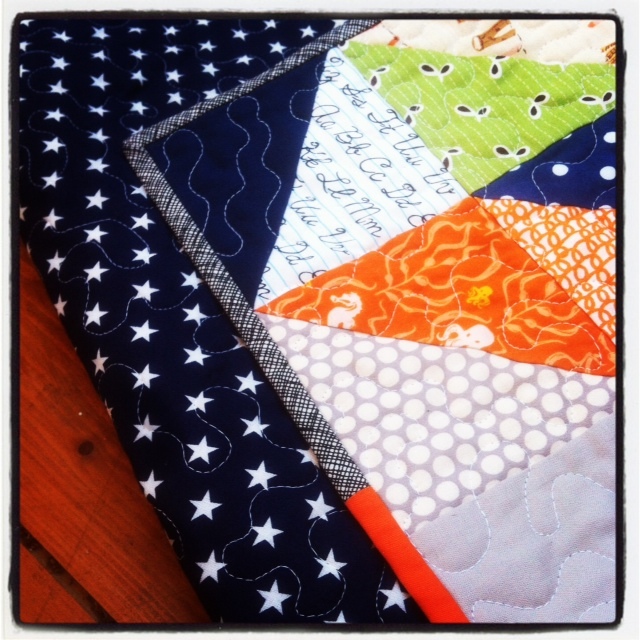 Firstly, I’ll be participating in my first Quilt Bee. A few months ago, whilst enjoying the entries of the Quilt Bloggers Festival, I happened across an entry by a male quilter. I was so excited to have found somebody else like me I commented at once, congratulating him not only on his amazing quilt but also his gender! That comment planted a seed, which quickly took on a life of its own, becoming the “No Girls Allowed Quilt Bee”, or the #NGAQB for the cool kids. 13 guys, yes, guys, 12 months and a whole load of testosterone-fueled quilting. You’ll be hearing a lot more about the bee over the coming year but I don’t think I have to tell you how excited I am. The group has a really special feeling and I know that each and every one of the members will have something to teach me. I’ve nearly completed January’s blocks and will be sending them off to their recipient soon! Want a sneak peek? Oh, go on then! 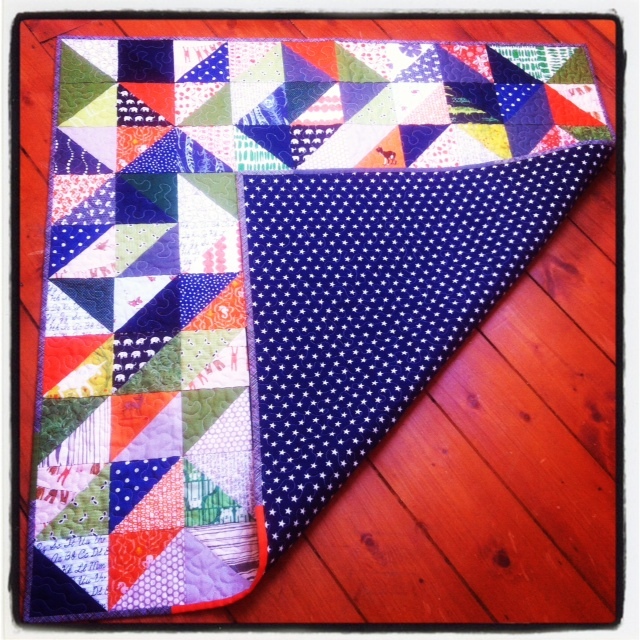 2014 will also see me turning my hand to designing a quilt, something that excites and unnerves me in equal measure. 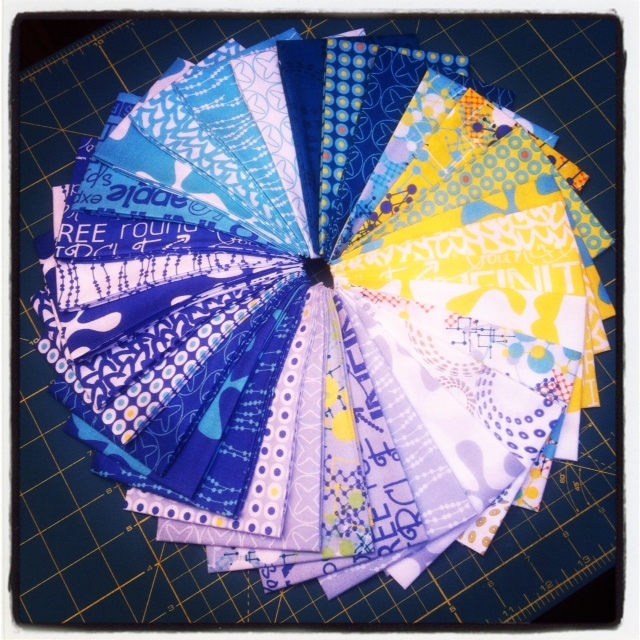 The wonderful people at Fat Quarterly were kind enough to let me lose with a fabric bundle with the task of creating something for their upcoming pre-cuts issue. 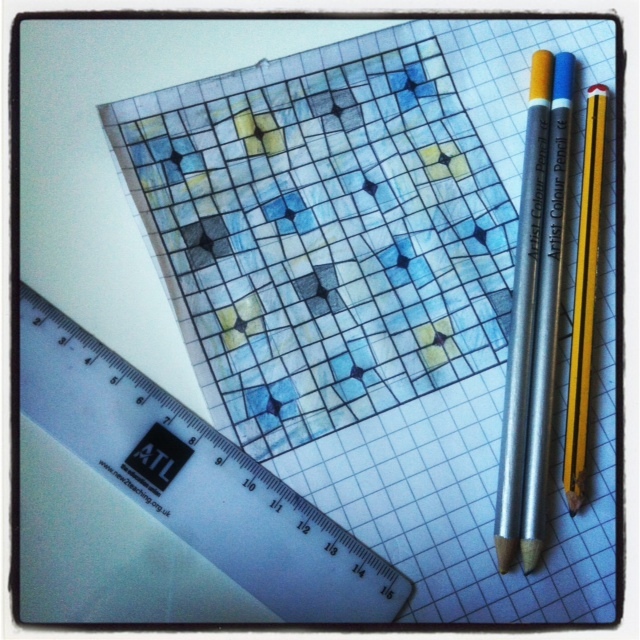 I’ve had great fun messing about with paper and colouring pencils over the last few days and am itching to get started. Aside from hangovers and Hogmanay, the end of the year is traditional reserved for resolutions; things we commit to to make a difference in our or others lives over the coming year. I usually shy away from such things, preferring to allow the year to play out in its own unpredictable way. That said, there are a few things I aim to do. The first is to use more of my stash. As pretty as it looks, its primary function is to be used. I’ll never (no matter how hard I try) be able to stop the shopper in me from buying fabric, but if I can use what I buy, rather than just look and smile at it, then I’ll consider that a win. 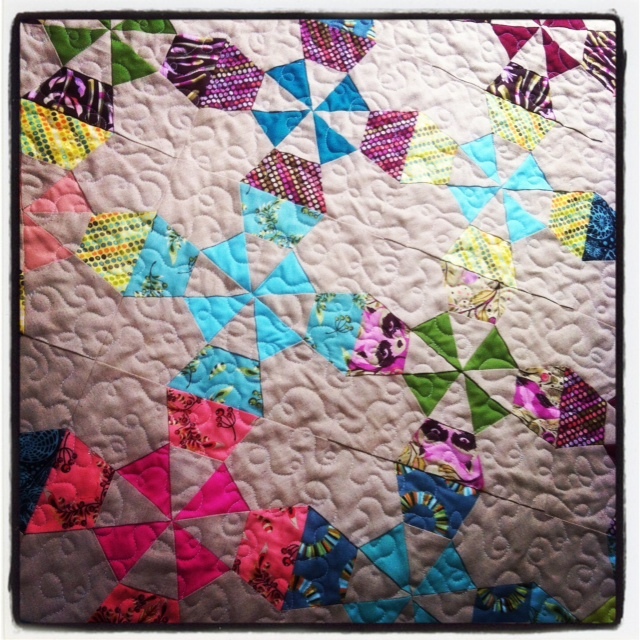 Secondly, the past year has seen me step up my free motion quilting and that is something I want to continue. I’ve moved away from stippling towards more adventurous designs and hope to utilise the quilting books I received for Christmas to progress. I’ll be a free motion feather freak before you know it! So that’s it for this year. Thank you to each and every one of you who follows, reads, comments and likes. You, as much as anybody, have welcomed me into this quiltsphere and I can’t wait to share 2014 with you all. Happy New Year! 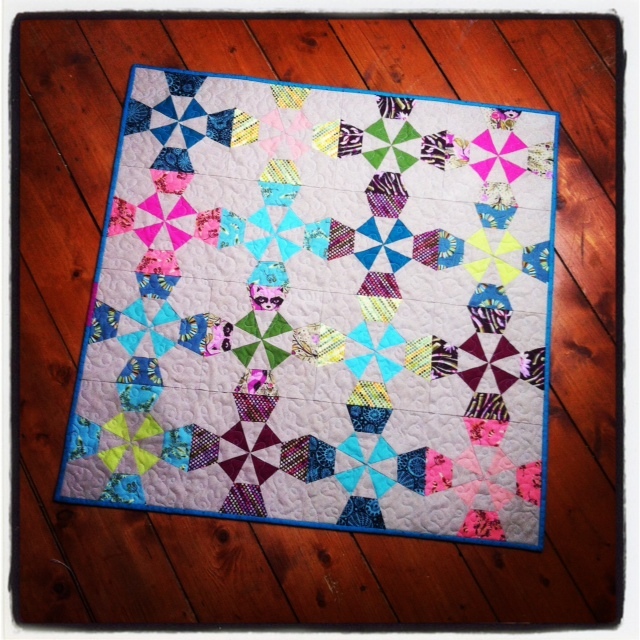 Linking up with Lily’s Quilts for the Small Blog Meet, a great way to meet other like-minded bloggers. Now that the man in red has delivered his wares I can finally reveal the quilt I completed a few weeks ago. As I said in this post, this quilt came about quite spontaneously and wasn’t something that was on my to-do list. I was asked to make it for a new addition to our family and with the deadline being Christmas, I knew it had to be something quick and easy. Half Square triangles are one of my favourite block components. They’re simple to make on mass and can be arranged in so many different ways. I really enjoyed pulling fabrics for this quilt. Whilst I wanted to stick to the traditional masculine colours, I love the orange for the zesty pop of colour it adds to the quilt. 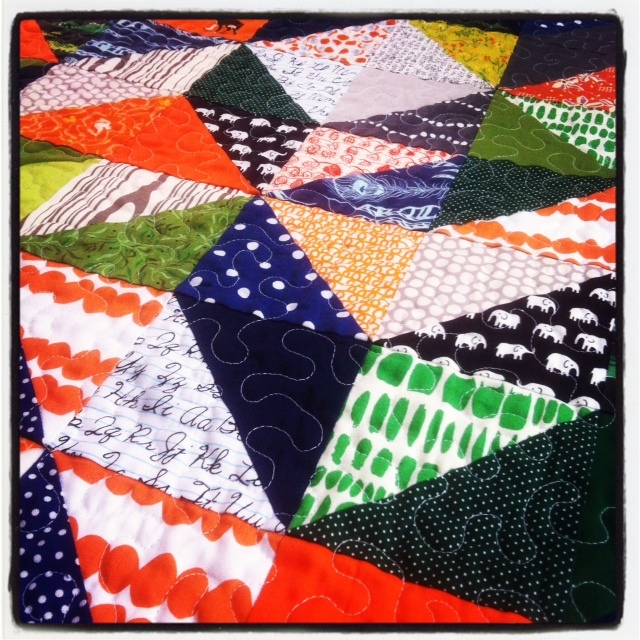 The mix of solids, tone-on-tone prints and fussy cut pieces really works for this baby quilt, and there are lots of cute images for the recipient to “I spy” in a few years time. I couldn’t resist some Heather Ross goldfish and dogs from her Lightening Bugs and other Mysteries collection for this very reason. The quilting was kept simple, an edge-to-edge stipple, as was the backing fabric, which was the bargain I secured a few months back. The binding is one of my favourite prints from Architextures by Carolyn Friedlander, crosshatch in black, which finishes off the quilt perfectly. I’ve already been told that the quilt was the favourite present of the day and is to be cherished forever. 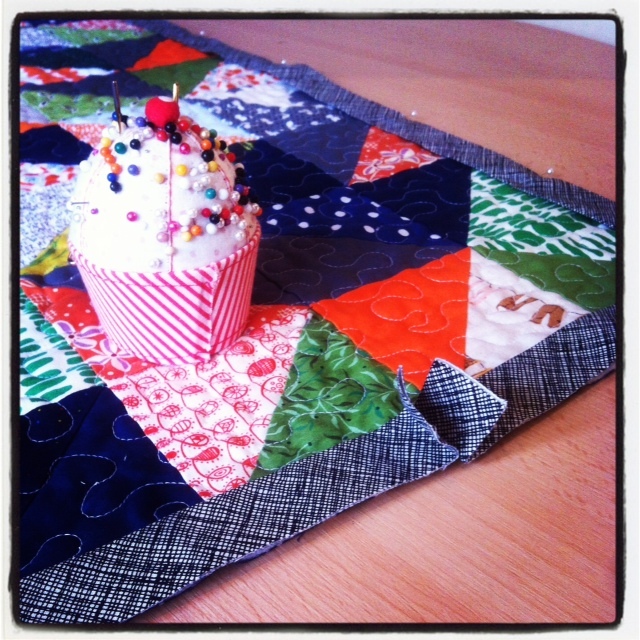 What more reward could us quilters ask for? The latest additions to my fabric sash are not of my choosing, and I think it’s for that reason I love them all the more. A friend and I recently exchanged gifts for the festive season and whilst I knew I was getting fabric, I had no idea what that fabric would be. She’d been given free rein to pick and choose a bundle and what I received was totally unexpected. She won’t mind me saying that yellow is not a colour I’m drawn to all that often, in fact, it’s probably the colour most lacking in my stash. You can imagine my surprise then when I opened the gift and saw yellow, lots of yellow, mixed with browns and greys. The graphic neutral prints screamed me, but the yellows? Well, I love them! 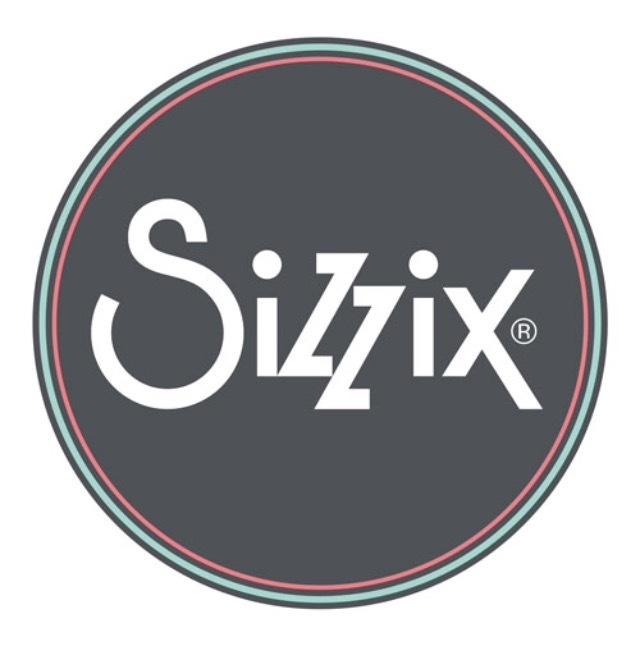 The experience has taught me that perhaps I’ve become too comfortable in my fabric choices and while I’ll always have my go style of fabric, relinquishing some of the creative control is not always a bad thing. Urban Mod – Triangularity in sterling, Carnaby Street – Kings Road in lemon, Tomotake for Kokka – Herringbone in citron, Matilda – Chevron in mocha, Minimalista – Confetti in honeycomb, Squared Elements in lemongrass, Basic Grey – Raspberry jam in picnic, Minimilista – Confetti in noir. 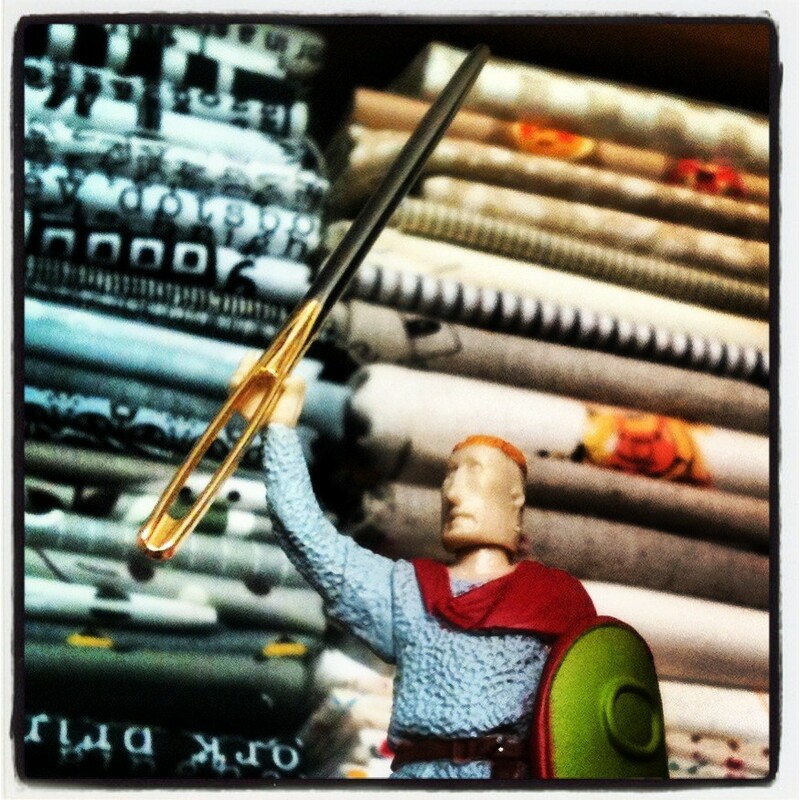 A few of these fabrics are on sale at M is for Make, so head over there now and grab a bargain. 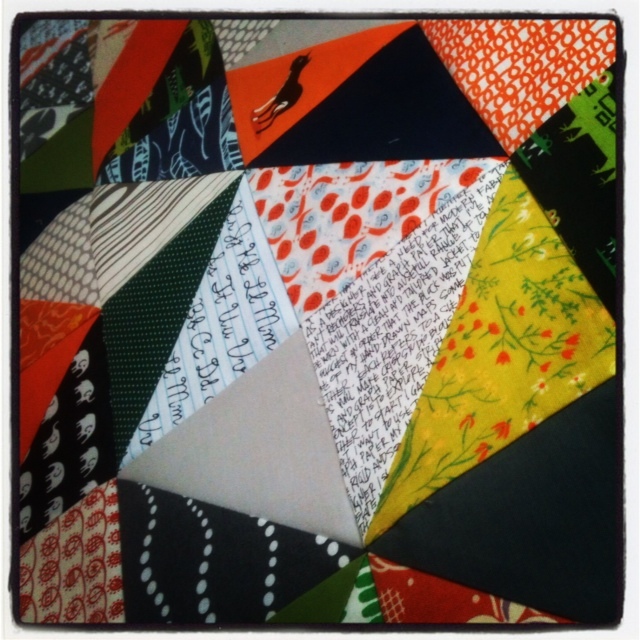 The half square triangle quilt I blogged about in my last post is almost finished. As well as chasing the dog through drifts of fallen leaves and drinking more coffee than I really should, I’ve spent the morning making the binding that will see this particular quilt finished in about, oh, I don’t know, a few hours. 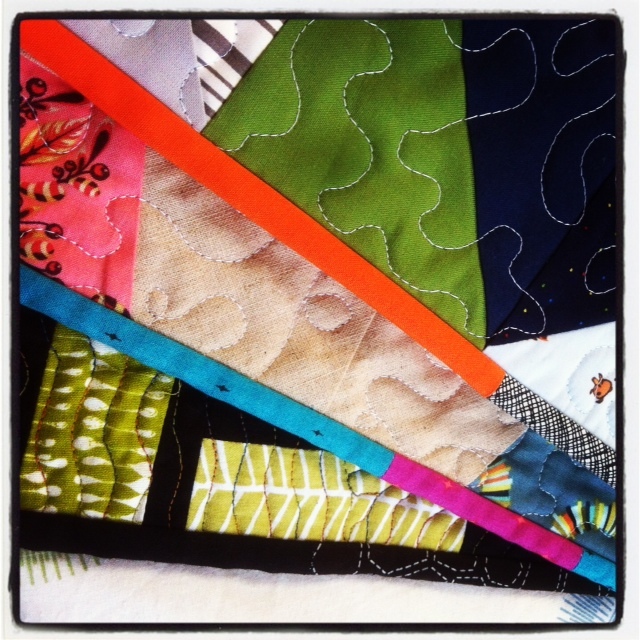 Binding is my favourite part of the whole quilt making process. This brazen confession caused some controversy on Instagram a few days ago. A few of my followers weren’t convinced. In fact, they likened the process to nothing more than a signal that they were almost done. 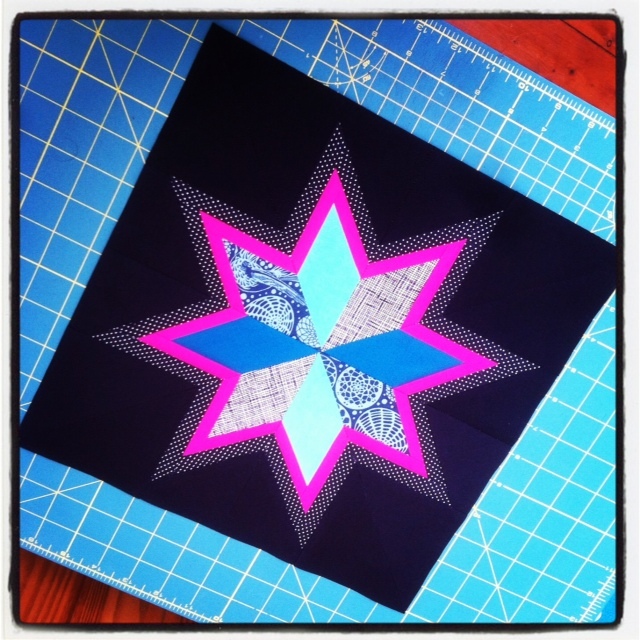 I’ll admit that when I first embarked on my quilting journey I wasn’t too enamoured with this step and some of my earliest attempts are destined to never see the bright lights of the blogsphere! I’m happy to say I’ve improved and whilst binding a quilt is a something we all do, the processes by which we do it differ greatly. Here are some binding tidbits I’ve learnt along the way. I think the biding strips I cut for the first quilt I made were 4″wide! Enormous things. I now prefer a thinner binding, cutting my strips at 2.25″. 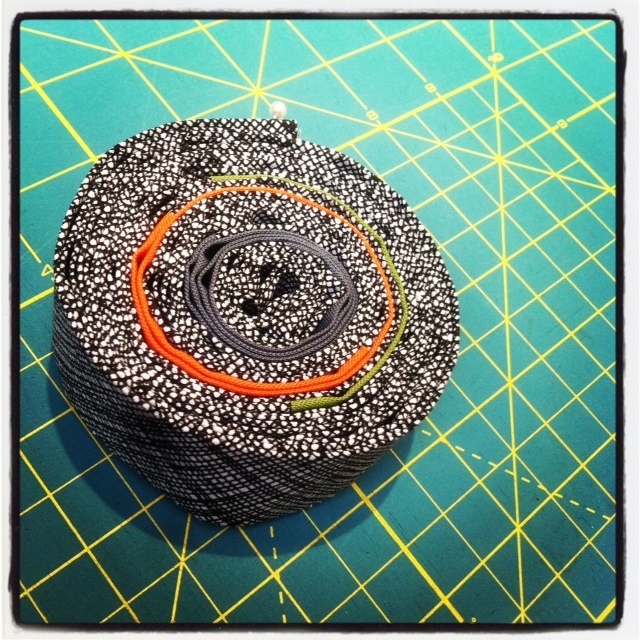 Though in essence binding is something to finish the edges of a quilt it doesn’t mean it can’t make a statement. 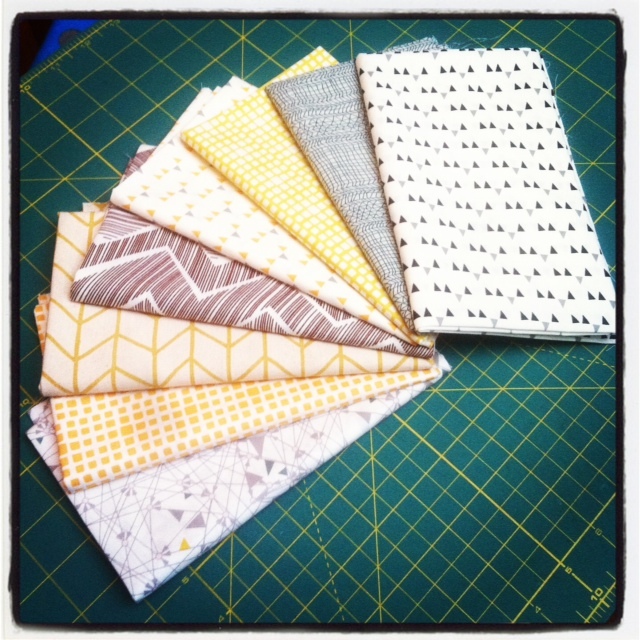 I’m drawn to strong, graphic prints for my binding, particularly monochromatic colourways. Be daring with your fabric choices, as you would be when making the quilt top. The binding is the last chance for a splash of colour or a snippet of a favourite print. Going back to that first quilt I ever bound, using the 4″ strips, I was so eager to finish that I didn’t even press the seams, just folded the thing in half and stitched it down. I’m now meticulous in my pressing, opening the seams to reduce bulk, much like I’d do on quilt blocks. The binding’s happy, and so are my fingers when I don’t have to wrestle a needle through a mass of fabric when hand stitching! 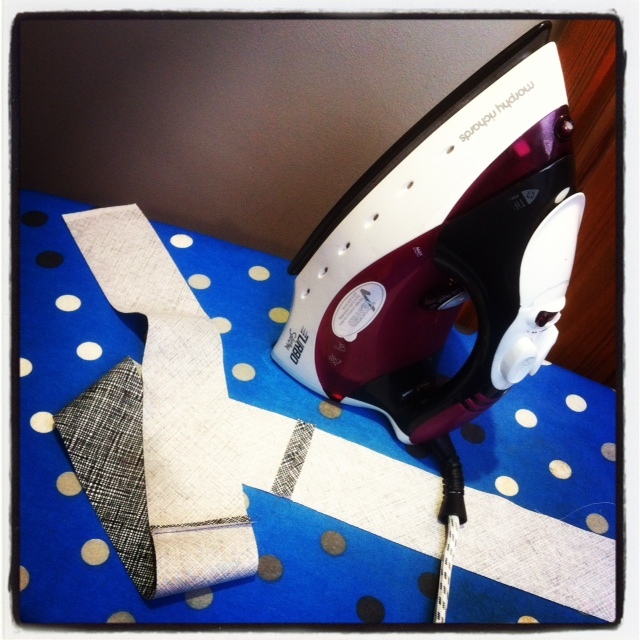 Like Frankenstein and his monster, don’t be afraid to use different body parts fabrics in your binding. Sometimes a quilt needs a single, solid binding, other times it doesn’t. Scrappy can work, as can small snippets of colour, as I’ve done in my last few quilts. There’s no rule that says it has to all be the same. As basic as binding is, it looks really nice all rolled up and lit like a diva. Believe me when I say it’s better to add and extra 8-10″ to your require binding length. This is something I usually do, though today an extra 1.5″ was closer to it. I’m not sure how I managed such a major miscalculation but am grateful to the quilting gods for their understanding. Phewww! 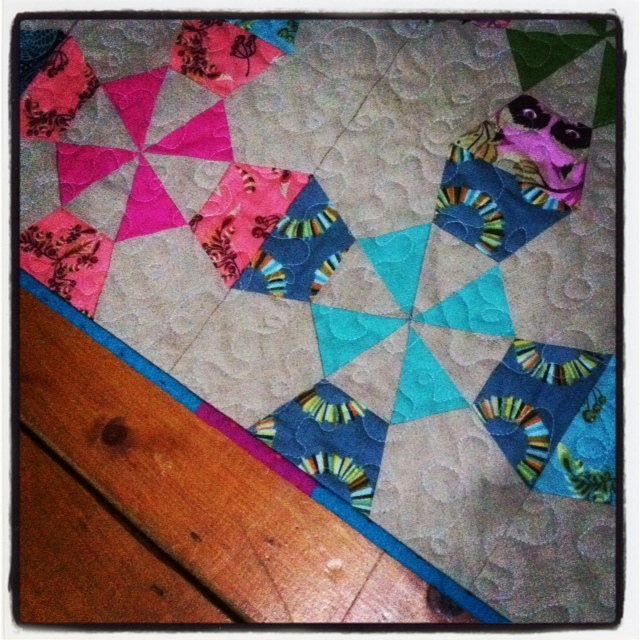 Once I’ve got my binding pressed, I like to pin it to the entire quilt before I begin stitching it down. I start on one side, leaving a tail of about 4-5″, then pin at regular intervals, mitering the corners until I’m back where I stared. Then it’s over to the machine to stitch the ends together before finishing with a few more pins. I like this method as it enables me to stitch quicker, without having to stop to line the binding up to the raw quilt edge. A quick press to the side gives me a nice crisp seam ready for hand stitching down. Though they look like something a 6-year-old girl might have, these clips are invaluable for holding the binding down as I sew. There are many different types available, though these ones make a nice sound when you tip them onto the table. Just as I pin the binding to the entire quilt, I similarly use these all the way around before I begin to sew, keeping the pot to hand for when they’ve served their purpose. Finally, as enjoyable as I find the final stage of hand stitching, the inches go quicker if you’re being festively crooned. I’d love to hear any binding bits you might have! I can’t believe it’s the 4th December already! I wish I could be a kid again. Back then, school holidays seemed to last months not weeks and Christmas took forever to arrive. 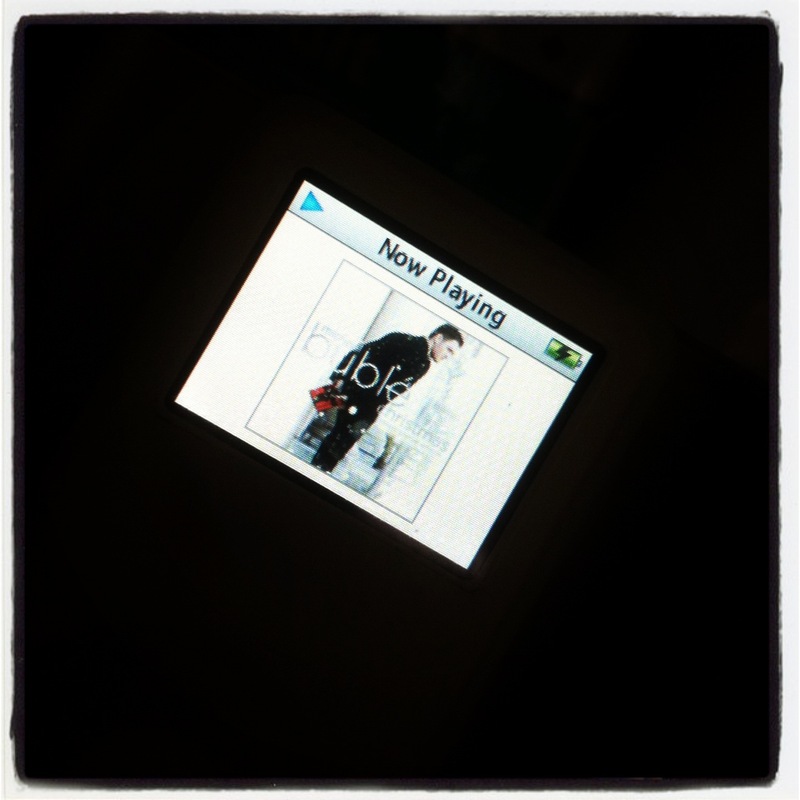 Now, I blink and a week’s passed! There’s barely time to fill a bobbin before something or someone is clawing for my attention, be it tree decorating, jam making or opening the advent calender for an ever-demanding dog. 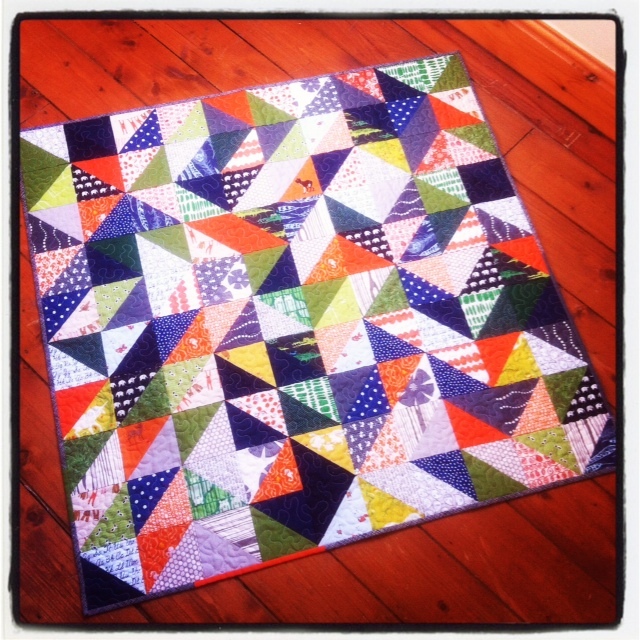 Today however, it’s my half square triangle quilt. This half square triangle quilt was something that happened rather spontaneously and has been a bit of a cloak and dagger project. I impressed myself when I didn’t have to buy a single piece of fabric for it. Everything came from stash; handy considering the looming festive deadline. There are lots of favourites in here, including some of my coveted Heather Ross. If all goes to plan, I hope to baste this over the weekend and quilt it early next week. I could really do with some of those elves right now! A little late-night hand sewing allowed me get my Lighthouse Quilt Along quilt finished yesterday. 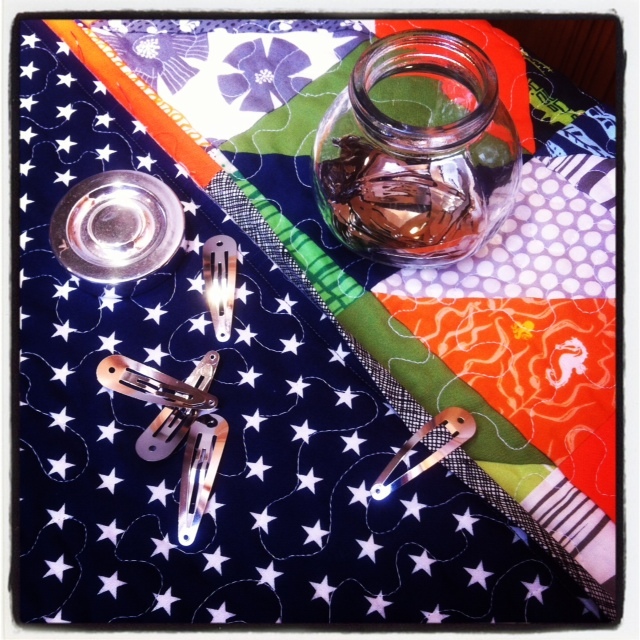 Adding the binding to a quilt is my favourite part of the whole quilt-making process and this time was no exception. In fact, the whole journey of this quilt was highly enjoyable. If I had my way (and a Harry Potter style time turner) I’d quilt along all the time. 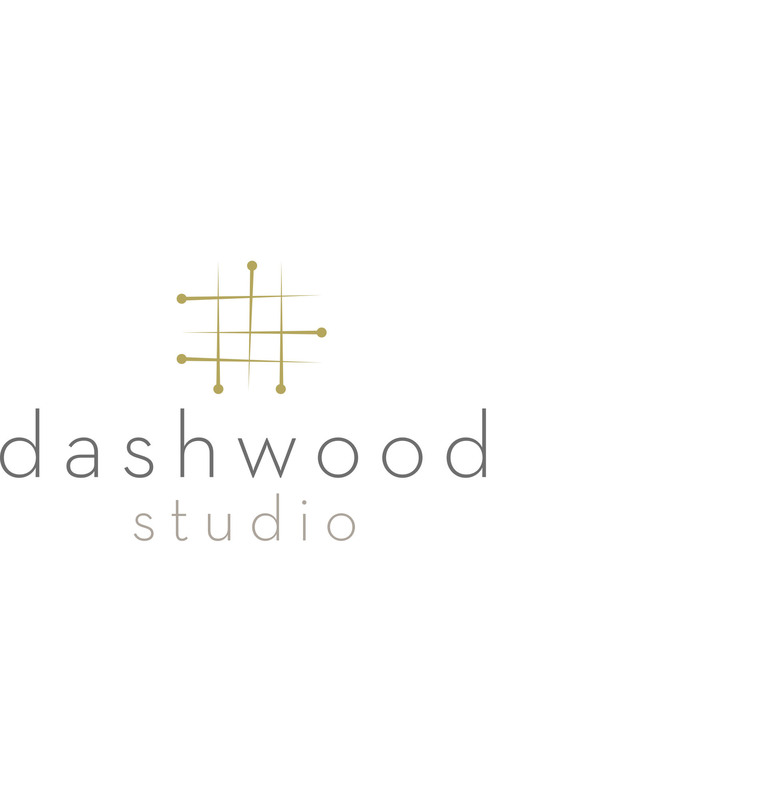 The idea of making something at the same time as somebody on the other side of the world is one of the many things that I love about our creative community. Alas, time is not always on our side and with two quilts already in various stages of competition I wasn’t sure if I could dedicate myself to the Lighthouse Quilt Along. I’m so glad I did! 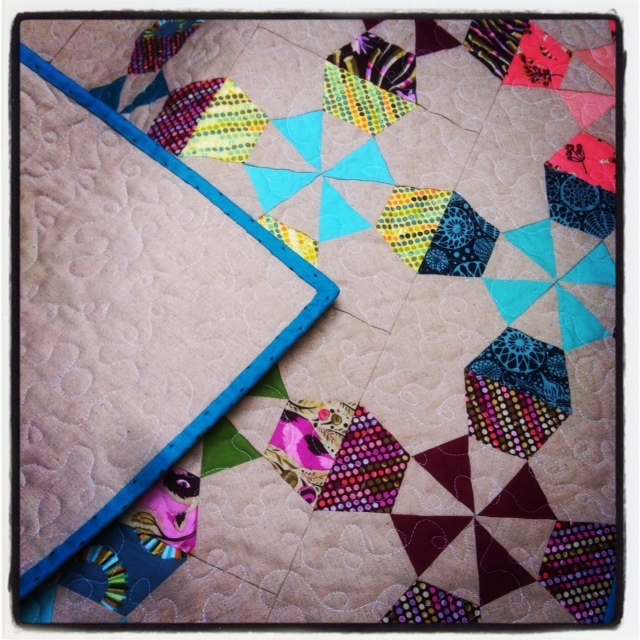 There was paper piecing, which I love, Tula Pink, who everybody loves, and an amazing pattern by a quilter and blogger who I’d admired for a long time. How could I possibly say no? The quilt construction was a breeze. 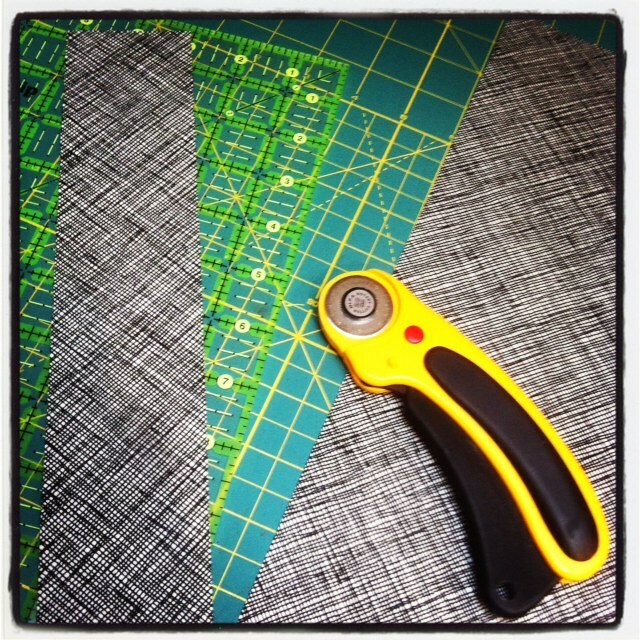 My inner perfectionist always gets a bit vocal whenever I use a paper piecing pattern (seams and points and pins oh my!) but for anybody new to paper piecing, Faith’s clear and concise instructions took you by the hand and gently guided you through the process. I intend to hang my smaller, 31″ x 31″ ‘mini quilt’ in the attic, but I can imagine a larger version of this would look stunning on a bed. I’m so happy with the fabric choices. The Tula Pink Acacia that I brought back from London with me didn’t last two minutes in the stash. This was the perfect project for it. Coupled with some Essex linen, the colours really pop. I chose an all over quilting design, something with curves to contrast with the straight lines of the piecing, in a simple white thread and finished the quilt off with one of the simpler designs from the collection for the binding. 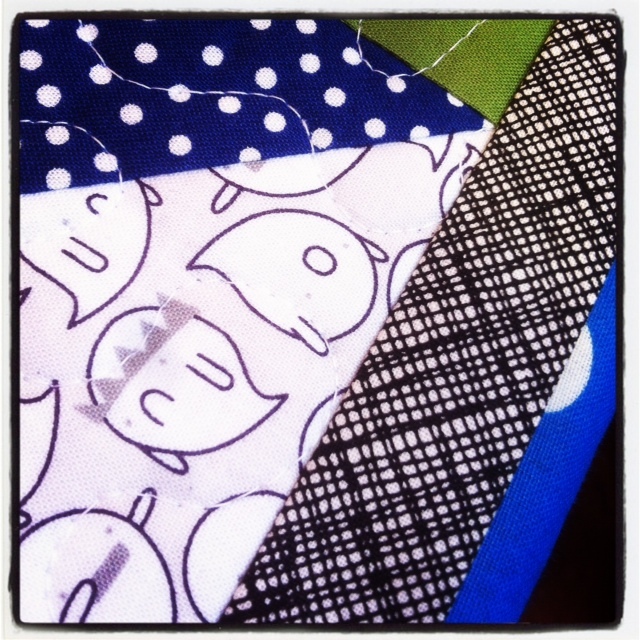 In fact, I think my favourite part of the whole quilt might be the small, contrasting piece in the binding. Also, there were no close calls with the thread this time, a la the Dinosaur Quilt, so I think I’ve learnt my lesson!